I’m excited to be blogging again. I plan to blog one to three times a month about small groups, discipleship, and doing multicampus church—all of it so that more people can experience Jesus’ power and grace in life-changing ways. Some of the entries will be about my favorite resources because I know small group leaders and pastors always want to find the best resources. 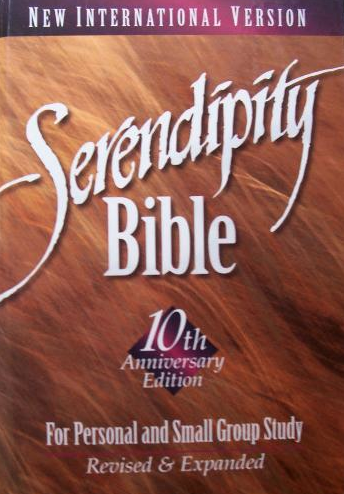 Today I want to highlight what I consider the very best resource out there for small group leaders—The Serendipity Study Bible (SSB). The SSB contains great small group discussion questions for every chapter in the entire Bible. The questions are conveniently located in the Bible’s margins and are arranged in three categories (Open, Dig, and Apply) to progressively move people into the topic, into the passage, and then into applying the truths to their lives. I want you to understand the best way to use the SSB and similar small group helps. Let’s say you are looking at today’s One Year Bible Psalm—which happens to be the very familiar Psalm 23—with your group. Here’s how I suggest you prepare. Second, read the passage yourself (before turning to the SSB or any other helps) and jot down a few of your own questions. Here are some questions that come to me as I look at the passage right now. What is one promise in this psalm that speaks to your current life situation? When have you experienced God’s presence in a dark and difficult time in your life? How did God make himself real to you in that time? The psalmist calls the Lord his shepherd, a vivid image for people in Bible times. If the psalmist were writing today, what image might they use to convey a similar meaning. “The Lord is my _________.”? How does this psalm speak to your own life today? What is something you want to ask your God your Shepherd for right now? Third, look at the SSB and pick some questions that you like. You’ll always find some good ones (as well as some you probably don’t like). Here are some from the margins of Psalm 23 that are great which I picked out just now. With what formulas for dealing with your stress were you raised? “Forget it”? “Pray about it”? “Sleep on it”? What dark valley are you walking through now? Has God rescued and protected you with his “rod and staff”? What “green pastures and sill waters” has he brought your way? What would you like your cup to overflow with? 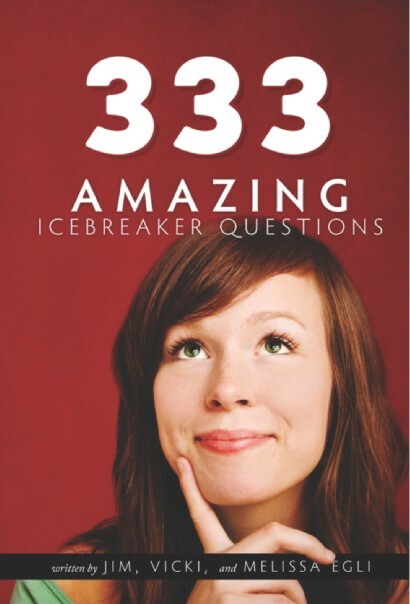 Fourth, take the questions you brainstormed and merge them with the SSB questions you like. Be sure to use open ended questions, rather than closed (yes-or-no or obvious answer) questions. Also, include a good mix of personal questions that help people flesh out and apply what the passage addresses. Fifth, pray again inviting the Holy Spirit to make his word alive in people’s lives. Then go for it and have a great group. The SSB also has dozens of courses which are from four to thirteen lessons built into it, that are outlined in special pages in the beginning and the center of the Bible. The SSB retails for $35 but you can buy it new on Amazon for $24 and used for as little as $7. It may be the best money you ever spent as a small group leader. You and your group will benefit from it over and over again. What is one of your favorite small group resources?